English in Levels is the creator and publisher of the web pages available at speakinlevels.com, and all linked pages, features, content, or applications (collectively, the “Site”). you want to put your personal details on the list of students at the www.speakinlevels.com. you fully understand that these required personal details are your Skype Name, Email Address, Gender, Level of English, Time Zone and Country. you will be registered at www.speakinlevels.com and you agree that you will receive newsletters from this website. you fully understand that the keeper of your personal details is the company English in Levels s.r.o. you understand that you can cancel or change your personal details by writing to the company’s email address mentioned in the Contact section. You must write what number you are on the list. The company English in Levels s.r.o. will delete or change your line within 3 working days. you fully understand the main purpose of this website is to connect people who want to improve their English skills by speaking via Skype or writing emails. you understand that you will receive emails and/or other communication from people who will find your personal details on this website and that these people do not have to be registered on the list of people who want to talk or write. 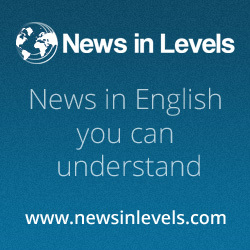 you understand that the website www.speakinlevels.com is the project of the company English in Levels s.r.o. (which is also the owner of the project NewsinLevels.com) and the company directly manages this website. you understand that there is no external branch office to manage the personal details for the project www.speakinlevels.com. you understand that the company English in Levels s.r.o. cannot ensure that when people contact you it will be only be about practising English. you accept that members of the company English in Levels s.r.o. will receive your personal details required in the form and will put them into the list. your filled form will be sent to the email address of the project leader of the company, English in Levels s.r.o., who will put it on www.speakinlevels.com. Only some of your personal details can be published. you understand that all of your details will be visible for all visitors at the website www.speakinlevels.com. you agree to process your personal data based on points and content above. 1) Speaks in Levels is for everybody who wants to practise reading and listening and learn English. The list is for both students and teachers of English. 2) We are not responsible for any action which you do when you use this website. We are not responsible for correctness of the website or any texts. We are not responsible for anything that happens to you when you use this website. 3) We reserve the right to change, correct or delete any information in the Comments or Contact sections. We reserve the right to shorten comments which are more than 100 words long. 4) Pictures on this website are under the Creative Commons Attribution-Share Alike license. Pictures are illustrative only. 6) We are here to help you understand English. If our list of English students helps you, we would like to know how it helps you. If the website could be better, we would like to know how it could be better. Please write to us about everything what is important to you. Whenever you interact with any of your sites, we may receive and store certain types of information. This information includes the data stored by the server in server logs, such as your IP address, cookie information, and the information you request from the server. English in Levels s.r.o. may use this information to detect problems with the server, make changes so that the site is easier to use or create statistics. English in Levels s.r.o. may use this data in aggregate form, that is, as a statistical measure, but not in a manner that would identify you personally. We use third-party advertising companies to serve ads when you visit our websites. These companies may use information (not including your name, address, email address or telephone number) about your visits to this and other websites in order to provide advertisements about goods and services of interest to you. If you would like more information about this practice and would like to know your choices about not having this information used by these companies, write to us for more information. We allow third-party companies to serve ads and/or collect certain anonymous information when you visit our website. These companies may use non-personally identifiable information (e.g., click stream information, browser type, time and date, subject of advertisements clicked or scrolled over) during your visits to this and other websites in order to provide advertisements about goods and services likely to be of greater interest to you. These companies typically use a cookie or third party web beacon to collect this information. To learn more about this behavioral advertising practice or to opt-out of this type of advertising, you can visit http://www.networkadvertising.org/managing/opt_out.asp.